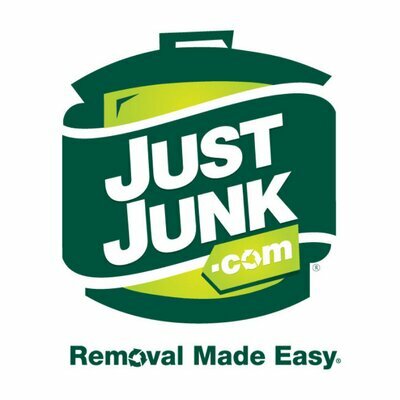 Why not get a jump start on spring cleaning! You have extra help for the whole week and weekend with the kids being home and many hands make light work! 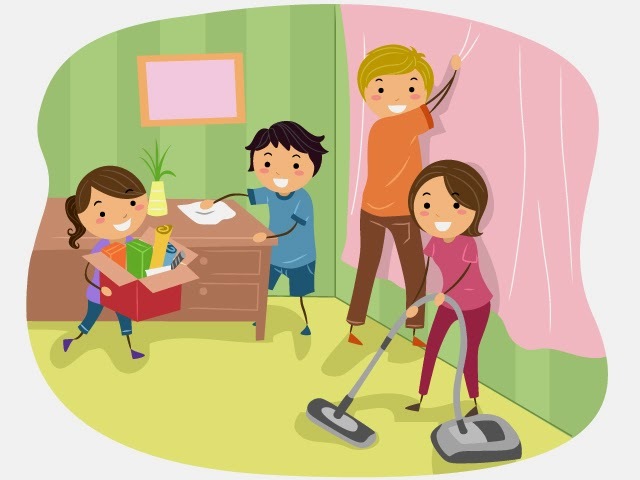 Frankly the kids probably won't enjoy it ... and you might not enjoy it but you can always reward yourself and the kids by having a fun family outing on the weekend once the cleaning is done! 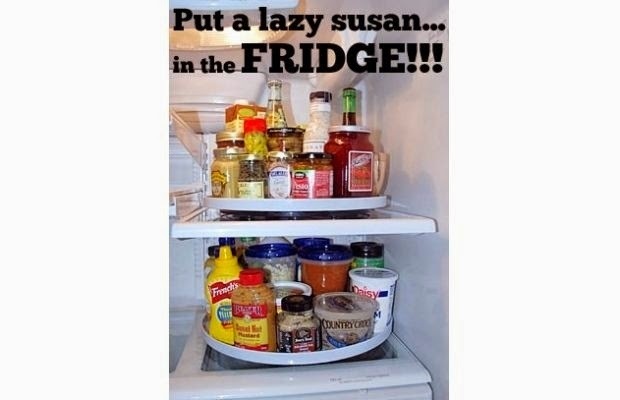 Cleaning out the fridge can be a daunting task but you can add a little fun to it by putting a lazy Susan on different shelves! It’ll make it fun for kids to spin it and get items out, and also make it easier to keep organized! You can always bribe the kids with a fun snack if they help clean it out! If you avoid snacking while you clean ... you could get it done quicker, but we know food is delicious! If you’re cleaning all the windows in your house, you should do so on a cloudy day. Washing the windows when it’s sunny will make them dry to quickly and that will leave streaks! 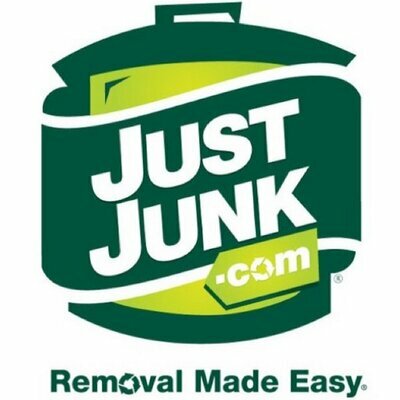 Did you know you can put other items in that sucker aside from just dishes? 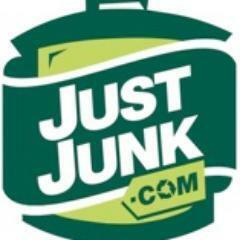 Hair brushes, makeup brushes, pet dishes, plastic kids toys, plastic shelving and all kinds of other items! 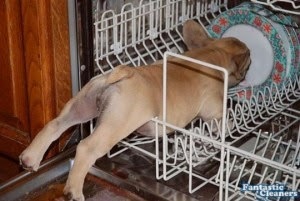 You could probably even get the kids to help by letting them put “unusual” things in the dishwasher! You can get rid of water rings on wooden furniture by taking a blow dryer on high and blowing it on the ring and like magic … you can watch it disappear! If your kids are old enough to handle a blow dryer, but still young enough to believe in magic … this could be a fun one for them to tackle! Once the rings are gone give it a wipe down with some wood polisher and it should look good as new! Every parent, or anyone who has used glitter … know that it’s the evil of the craft world and almost impossible to clean up and gets everywhere! 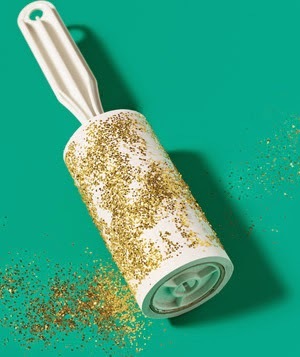 Using a lint roller can make picking up glitter less painful and quicker! 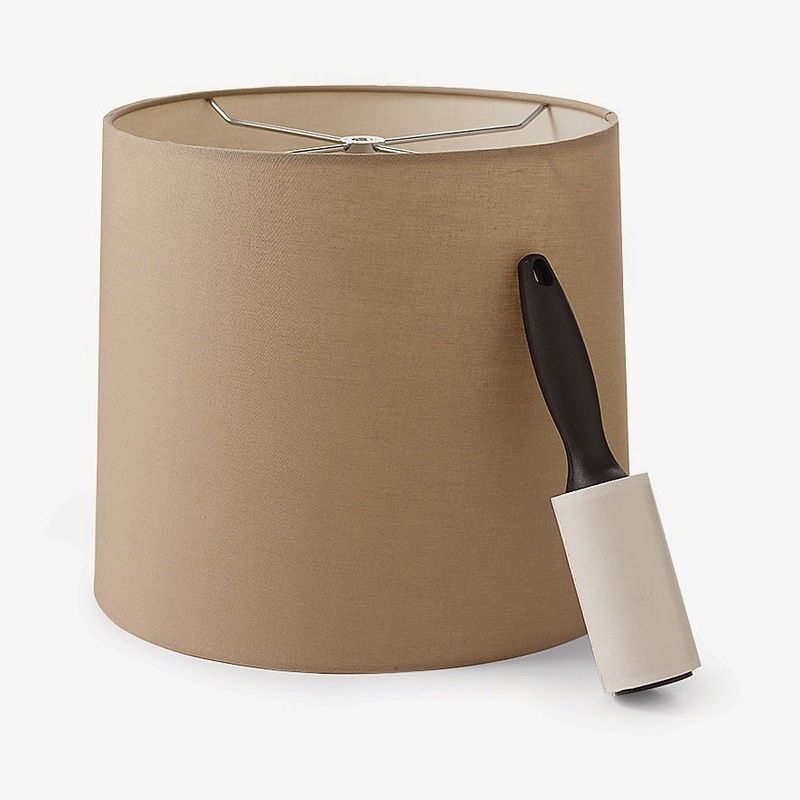 Lampshades probably get neglected. No one really things to clean them too often as they don’t particularly get touched! However, taking a lint roller to them is the easiest and fastest way to clean the accumulated dust off of them! You could even do it about once a week! You can use pieces of lemon to remove water stains from your faucets! Just cut a lemon, take a piece and wipe everything down! Viola! Shiny and clean. So there you have it! Some easy cleaning hacks that aren't over difficult to get the kids to help with! And the sooner it gets done, the sooner you can have some fun family bonding time!